Note: You must be the owner or a billing liaison for the account to update the credit card information. Learn about roles and permissions. You can change your subscription from the Settings => Account & Billing => Subscription page. First, select your plan by clicking on the options. 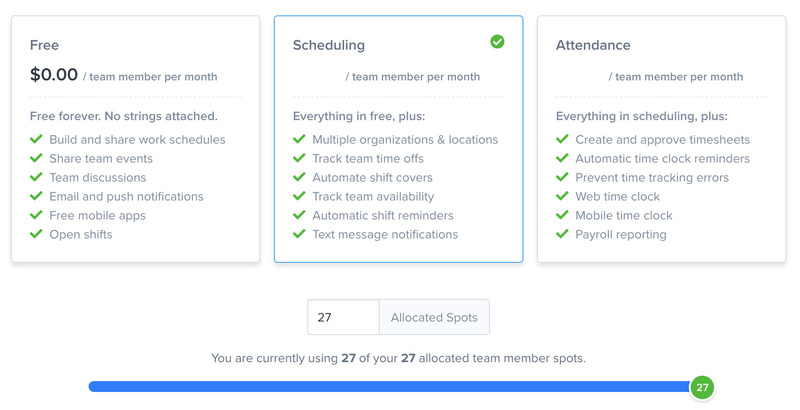 Next, add or remove allocated team member spots to your plan. As you make changes, you will see a preview of your new price at the bottom left of the page. Once you are finished, click on the Update Subscription button. All adjustments to your subscription will be prorated on your next invoice.